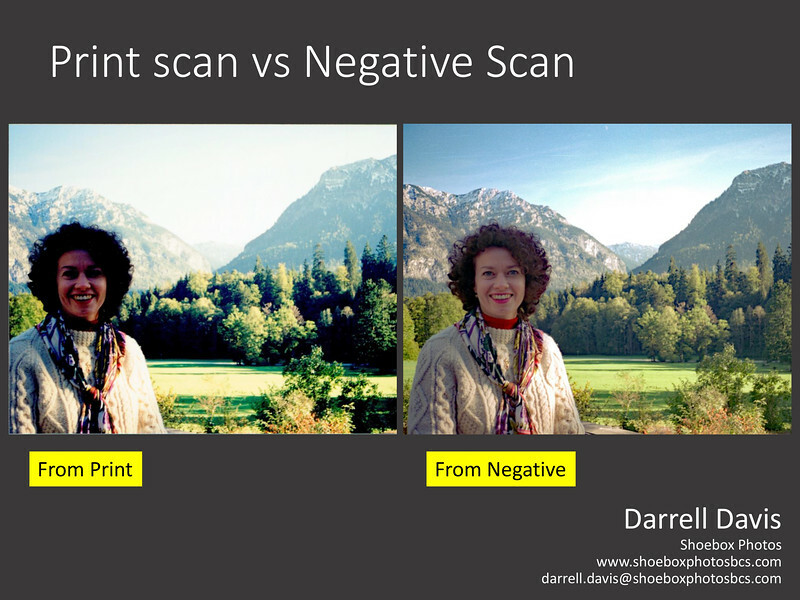 These images show some of the differences you might see with scanning from your negatives vs scanning from hard-copy prints. The improvement in detail and color can be very striking when compared to the print results from automated machines used at one-hour or discount developers. The pages without an image on the left hand side are photos where a matching hard-copy print could not be found and represents all those images you might have in your own negative collection that are not in your print collection. Copyright © 2017 Shoebox Photos - All Rights Reserved.